As an adult, it dawned on me I could make this whatever way I wanted and it has become an incredibly versatile dish for me. Plus, this is a dish that can be eaten hot or cold, is ideal for lunches and if you wanted, you could make it as muffins instead of a slice. Here is my recipe, plus some variations at the end. It similar to my mums and is in the cookbook 26 Ingredients (which needs an update, originally published in 2009). 26 Ingredients has over 100 recipes based on a pantry of just 26 Ingredients, plus tips on using leftovers etc. There is everything from gourmet breakfasts to delicious desserts. Buy it and download straight away for just $4.95. More info here. Use other meat – diced a leftover sausage if you don’t have ham or shredded roast chicken. Any precooked meat chopped up works well. Leave out the meat and go vegetarian! 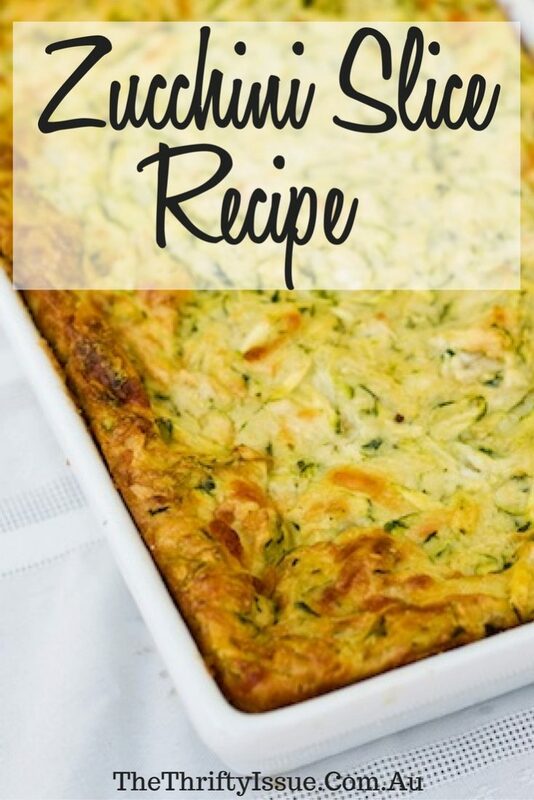 How do you like your zucchini slice?